It's been a landmark year for Ubisoft. Quite literally, in that this is its 30th year in existence. From the arrival of Rainbow Six in the dying weeks of 2015, to the launch of Steep just three weeks ago, the last 12 months have featured some of the finest games the company has ever produced. It's also been a year where Ubisoft launched the fastest-selling new IP in history (The Division). It's not been perfect - there have been online issues around The Division, while Watch Dogs 2 and Steep haven't sold quite as expected (at least so far) - but on the whole, 2016 is a year that CEO Yves Guillemot and his 10,000 employees should be feeling pretty happy about. GamesIndustry.biz was granted access to some of Ubisoft's leading creators. The pitch was for us to do a roundtable that would discuss the company's unique culture, its 30 years in business and what comes next. Yet we couldn't do that without addressing the giant elephant in the room - the one that has the words VIVENDI printed on the side in giant block capitals. Vivendi wants Ubisoft. The French media conglomerate has been gradually increasing its stake in the company, and has already completed a hostile takeover of Gameloft - the mobile firm that was also part-owned by the Guillemot family. 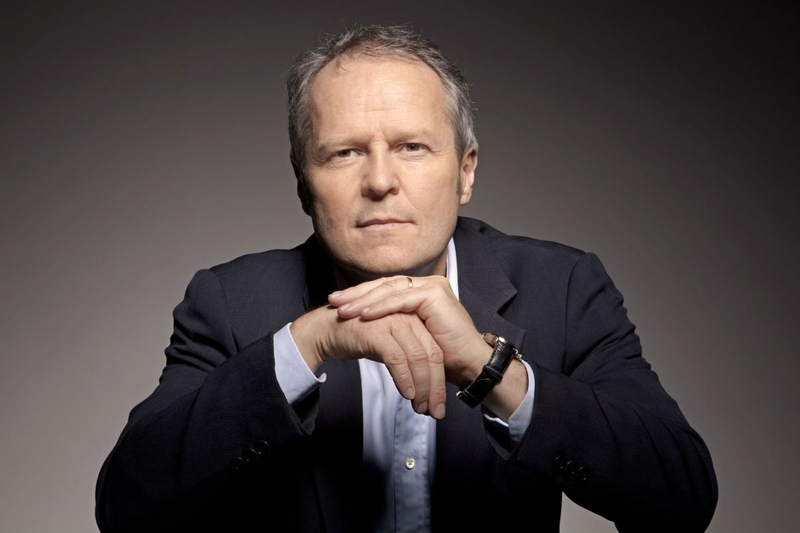 Vivendi has played down its plans to acquire Ubisoft, but Yves Guillemot is not satisfied, and remains defiant over the company's creeping control. He insists that he won't relax until Vivendi sells its shares, and if it does take ownership, then he may well leave. Yet it's one thing for the Guillemot brothers, who have built this business over the course of 30 years, to reject Vivendi's overtures. 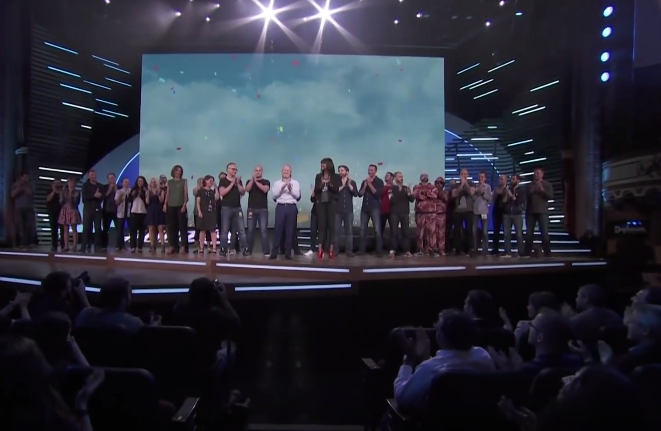 But in a company as vast as this one, does it really matter which exec strolls out on stage at the end of an E3 presentation? To those creators behind Rayman and Assassin's Creed and Child of Light, does it really make a difference who is sitting in the Boardroom? The answer we received was unequivocal: Yes. Yes it does. "The Guillemots are critical to our success at Ubisoft," says Clint Hocking, the creative director at Ubisoft Toronto. "It's rare today to find chief executives and board members who are willing to support such broad innovation and creativity in any industry. They exhibit enormous courage, and in doing so, set an example for us to do the same. In my experience, that's pretty rare." Martin Oliver concurs: "The Guillemots have instilled a player first mentality within all teams across Ubisoft. Any change to these core principles will significantly harm the way we develop of our games." Antti Ilvessuo, senior creative director at Ubisoft's Redlynx developer, says that Yves was the reason he chose to go with Ubisoft, while Magnus Jansen, creative director at Massive (another Ubisoft studio) says that to lose the Guillemots would radically change the publisher. "Ubisoft's identity is inevitably bound deeply to the Guillemots' philosophy." He says: "I think it's fairly safe to say that a change in management would have a profound impact on everything, especially due to Ubisoft having had such stable leadership for so long." Jonathan Morin, creative director at Ubisoft Montreal, is also full of praise for Yves: "He always had the courage and business sense to push us forward at the right time. When we revealed Watch Dogs in 2012, it was because of Yves. He had faith in the idea behind this new brand and in retrospect he also had a great sense of timing. It was a really risky move that most companies would never have done but he was right about it. There are countless examples like this that characterise Ubisoft and how it managed to succeed so well. Ubisoft's identity is inevitably bound deeply to the Guillemots' philosophy." Rima Brek, Studio Production Director at Ubisoft Toronto concurs: "Yves genuinely cares about his teams, and he is always ready to listen. The entire management team values quality in our games above all else, and that is something that makes Ubisoft very different than other big game developers." It may have over 10,000 employees, but Patrick Plourde, head of the firm's Funhouse development initiative in Montreal, says the Guillemots makes what is a massive company feel smaller. "It has a strong family atmosphere," he says. "I think [new ownership] would change the nature of the corporation at its deepest level." Rebecka Coutaz, MD of Ubisoft Annecy, adds: "We all agree upon that it is the men and women in Ubisoft that makes it so unique. However, the Guillemot brothers' values are conveyed in all teams at all levels and that is what it makes it such a great place to work. The trust relationship in place is necessary to be able to create new brands, stories, fantasies, characters and so on." So that was that answered. Now onto the roundtable. 2016 marked the 30th anniversary of Ubisoft as a business - which is a lifetime in video game years. What is it about the company that has enabled it to survive and be so successful? Patrick Plourde, Ubisoft Montreal: It is just great at transforming itself to adapt to the market. It has the largest pool of employees in the industry and the organisation has the flexibility to redirect this armada on tracks that are aligned with the market. It is willing to manage risk to constantly keep its eyes open for new opportunity. Being first on new technology has been part of the success of this company, starting with Rayman on PS1. Jonathan Morin, Ubisoft Montreal: It's always had the courage to take risks in order to push the teams forward. They provide the development teams with a lot of resources while still pushing them to innovate. This is a rare combination in our industry and it is this combo that made it possible for all of us to progress to what Ubisoft is today. Magnus Jansen, Massive: I'm no expert on corporate management and strategy, but it seems to me that companies - in general - have to invest and/or innovate to stay alive. Ubisoft does both those things very well from where I'm standing.
" If people are allowed to fail then they don't fear to innovate." Antti Ilvessuo, Redlynx: Yeah, innovation and the freedom to fail. If people are allowed to fail then they don't fear to innovate. Clint Hocking, Ubisoft Toronto: I think there are two main reasons. First, we're always open to exploring new directions and new technology, whether that's with new platforms, or consoles, or new paradigms in design - we always try to explore those spaces and learn from them. This creates a culture of experimentation, innovation and knowledge sharing. Second, we commit to the communities that we work in. We locate our studios where our teams want to live and work, in interesting, inspiring communities. We strive to be culturally involved and engaged, and Ubisoft promotes these ideals and invests in our people and their lives for the long term. Rima Brek, Ubisoft Toronto: Innovation is key, and it's encouraged across all teams - not just with tech, but in all areas, especially with our game breakthroughs that focus on technology that enables gameplay in a way that's never been done before. The emphasis on creating new, refreshing player experiences is really unique in my perspective - this is something Ubisoft puts a tremendous emphasis on in ways that I don't see other game companies doing. Ubisoft really values its talent, supports individuals and their personal growth. The company brings people on board for the long term - I'm a great example, I've built a personally and professionally rewarding career in my 18 years at the company. Ubisoft has developed a reputation for being quite different from the EAs and Activisions of the world - something that's particularly noticeable during E3. What is it about the company that makes it so different? Hocking: The major difference is the separation between church and state. Creative is an equal partner in how the company makes decisions. We have, in Serge Hascoët, a Chief Creative Officer, which is something most of our competition doesn't have. Serge's job isn't to dictate creative direction for the company by fiat, but rather it is to protect our creative autonomy and support our ambitions. This makes all the difference when it comes to delivering meaningful games at the highest level of quality. Jansen: What I always say when people ask me what it's like to work at Ubisoft is this: While all corporations want to make money, they don't all go about it in the same way. As far as I can tell Ubisoft's vision is to have innovation and quality as their competitive edge. As a creative person that is a strategy I can very easily get behind. "It's unusual that in a company this size, anyone in any role can present a compelling idea and help see that idea come to life." Brek: Ubisoft is willing to take risks on its games and on its people. It's unusual that in a company this size, anyone in any role can present a compelling idea and help see that idea come to life. This is not just on our games, but also in processes and is an important element of our culture across the group. There is a lot of openness and Ubisoft has established a culture that isn't afraid to fail. The company is also always reinventing itself - whether that's through new game genres, on new platforms or with new tech. When I started at Ubisoft, I was working on Playmobil games for PC - and just three years later I was working on a blockbuster game like Rainbow Six Raven Shield. To see a company make such a tremendous leap forward in terms of scope and quality of its games, targeting huge new audiences, is a testament to our agility and boldness despite our size. Rebecka Coutaz, Ubisoft Annecy: We really care about our team members and allow time for personal development, training, mobility, knowledge sharing and so on. This environment is the basis for the teams to be creative and always go beyond expectations. Also, our management really wants us to be a global entertainment company and not only focus on video games. This allows us to be cross-media and opens up new opportunities in all areas when we create. Plourde: It brings a different flavour to the market - is it the French touch? Maybe. There's nobody that manage a portfolio that mixes blockbuster games and quirky little experiences like Ubisoft. What would you say is the best thing about how Ubisoft goes about creating and commissioning the games it chooses to build? Ilvessuo: Generally, I don't think there is just one 'Ubisoft process'. There are lots of ways to work in different studios. But overall, there's no fear of failure. Then each studio is allowed to work in their own way on the small details. We work closely with other studios and people exchange ideas freely. Hocking: Our creative process is very rigorous. It's not a bunch of people in a room coming up with a bunch of random ideas based on the last game we liked or whatever. Our directions are constantly challenged and we have a culture of constantly challenging ourselves. And while our creative process is rigorous, it's not rigid - which maybe sounds like a contradiction - but it's not. Every project has to find their own way creatively, while at the same time, meeting that high bar for rigour. Martin Oliver, Reflections: We are very fortunate to be led by gamers, the Guillemot brothers. For them, cool ideas are priority. They empower the teams to approach every phase of development with the confidence that no matter how ambitious or unconventional the ideas are they will be appreciated. Morin: Ubisoft is a design-driven company. As a creative director I am imputable to Serge Hascoet and the editorial team. And they tend to push us and evaluate our work from a design stand point first. This is very rare since most companies would have guys like me be evaluated by business people. Of course we remain business-aware within the company but the content of our games is driven by design more than anything else. It is this approach that helps us make a difference. Ok, so on the other side, what's difficult about work at Ubisoft? "Trust is something that is earned here. The core management group have been working together for a long time. So if you think you can come in and change everything, you are in for a tough ride." Morin: It is the same answer. Being imputable to other designers is challenging. Your ideas are always challenged at every corner. You always need to push for more. Sometimes it can generate bad decisions or very hard times. But making games is really hard no matter how you look at it and there is no such thing as a perfect process to approach it. Plourde: Trust is something that is earned here. The core management group have been working together for a long time. So if you think you can come in and change everything, you are in for a tough ride. You also have to learn how to defend your vision when you are challenged. This is what is expected for creative directors but not everybody is at ease in this context. Ilvessuo: People complaining when I walk in on Friday in just my underpants. I don't know why that could not be made company-wide? A new take on Casual Friday. Hocking: Managing growth is probably the hardest thing. Trying to adopt the ideas and approaches of new team members while at the same time trying to keep your culture strong as you grow is very challenging. Assuming Ubisoft is still around in 30 years, what do you hope it is still doing? In 30 years, Ubisoft will be a global entertainment leader in not only games but also in the movie industry, theme parks, books and comics. Jansen: In software years that is unimaginably far into the future. I have no idea what I'll experience even in the next 10 years, and that's exactly what makes the game industry so exciting. Ilvessuo: Let's unlock new roads in ways that our mortal minds cannot yet see. People tend to overestimate changes in the short term but totally underestimate them in long run. So if I say that in thirty years we see better virtual reality, probably we see totally something else, something we cannot foresee now at all. Hocking: I think Ubisoft is positioned to be the first major developer to solve the challenge of bringing truly interactive stories into games with AAA production values. I'm confident we will see the dawn of that in our games in the next few years, and that our successes will shape the future of large scale game development over the coming decades. Coutaz: Ubisoft will be a global entertainment leader in not only games but also in the movie industry, theme parks, books, comics. Our universes will be experienced in many different media and by different kinds of people all over the world. Finally, what is the best Ubisoft game? Is Rainbow Six: Rogue Spear the best Ubisoft game of all time? Oliver: I am a big fan of Tom Clancy's The Division. Morin: I think Rayman, Raven Shield, Splinter Cell, Assassin's Creed 2, Just Dance, Far Cry 3 and Watch Dogs 2 are all great milestones for Ubisoft. But I feel Far Cry 3 and Assassin's Creed IV: Black Flag are the tightest games we've made. That being said Far Cry 2 will always have a special place in my heart. This is hard. Ilvessuo: I'll tell this story. More than ten years ago, I saw early visuals of a game called Blazing Angels. The way the screen felt, I thought it was just concept art. But it was the real game. It had mood, art pass, ground details... That was the moment I felt like: Wow, Ubisoft does care about what they do. And actually now people that worked on that game have become almost like my friends! Well they are. Hocking: Far Cry 2. 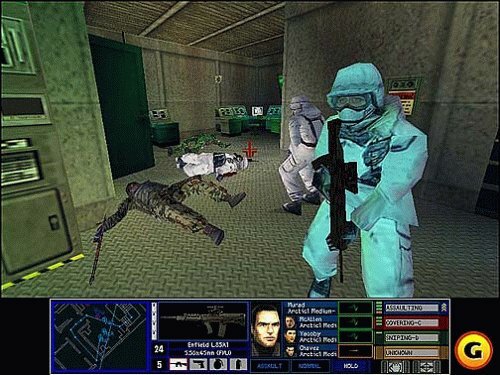 But with more humility, I'd say Rainbow Six: Rogue Spear. It was an innovative and interesting game that challenged a lot of preconceptions about important genres, and about what games can express. The player had a ton of agency and freedom to play the game in different ways, and there were a lot of subtleties and nuances in the design that maybe people don't realize continue to shape the way we make games today. Some of my fondest memories of LAN co-op come from that game. It was really great. Brek: For me, my best games are actually from the perspective of developer rather than player - and I can say that Splinter Cell Blacklist holds a very special place in my heart as the best Ubisoft game. We came together in a brand new studio, with a brand new team, with a huge mandate and I am so proud of that first game shipped by Ubisoft Toronto. This is a five-star game not just for what we shipped to our fans, but for all the passion and energy that was poured into it.